NHS Resolution is the coming together of three previously independent NHS functions: NHS LA (Litigation Authority), which provides indemnity schemes for the NHS in England and works to resolve compensation claims fairly, NCAS (National Clinical Assessment Services), which resolves concerns about the performance of individual practitioners, and FHSAU (Family Health Services Appeal Unit), which ensures fair resolution of appeals and disputes between primary care contractors and NHS England. The coming together of these three functions in April 2017 marked a shift in the way in which these organisations, now working as one, use NHS resources to benefit patients, resolve concerns and help to improve safety. 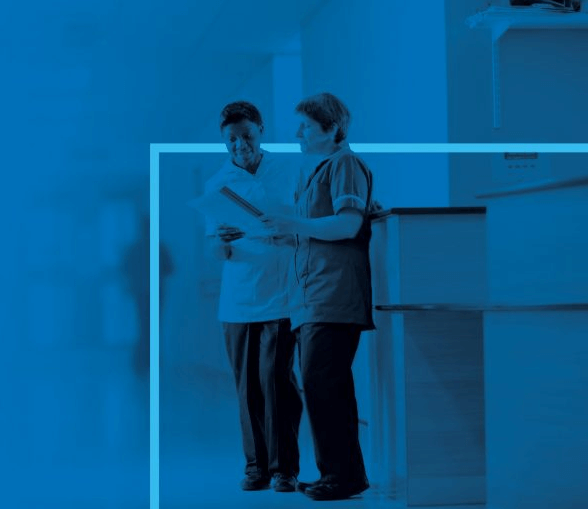 NHS LA contacted us six weeks before the rebranding, to help them create a new website that would reflect the transformation of the organisation and inform the public and stakeholders of its new strategy and direction. 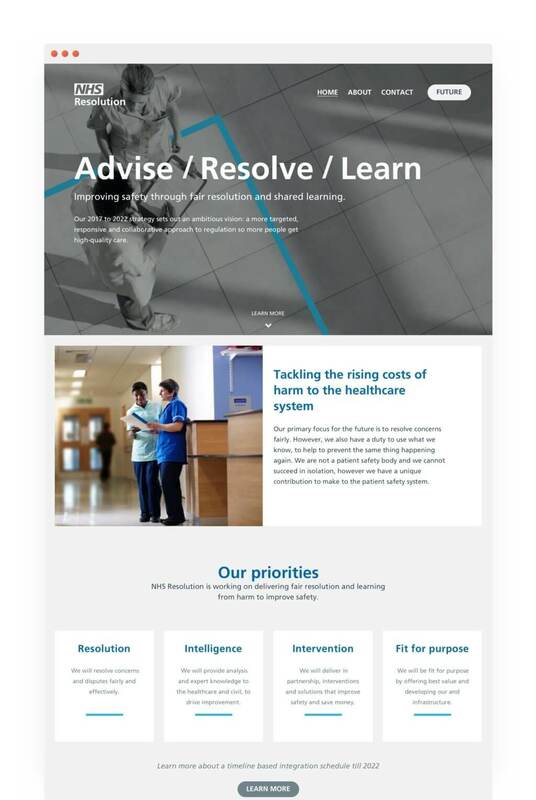 The new NHS Resolution website needed to launch within four weeks of the project starting, in order to meet the launch date of the new brand. The site needed a fresh design, to bring this part of the NHS up to date and into the digital age. Making the site accessible to all users was a high priority, and it needed to provide a lot of information about the changes to the organisation’s structure and strategy in a way that would be easy to follow. It also needed to be easy to change as the organisation settles into its new role. Using Atomic design principles to ensure consistency and a speedy delivery to this tight deadline, we designed a brand new website in line with the brand identity guidelines of NHS England. We developed a strong relationship with the NHS Resolution team, with whom we worked closely to create a site that expressed the individual identity of NHS Resolution, while still keeping enough consistency to be recognisable as part of the NHS. As NHS Resolution is in its infancy, this website will need to change again within the coming year. We therefore needed to create something that would be easy to modify in the future so we kept the design clean and simple, with the addition of an interactive infographic that shows the timeline of the organisation so far. 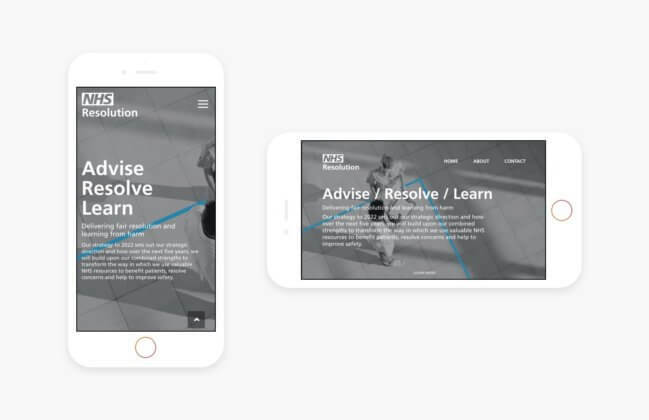 The result is a “beautiful website that leads the reader through the strategy in a way which makes sense.” (Helen Vernon, NHS Resolution Chief Exec). We continue to provide ongoing support for the NHS Resolution team and look forward to updating this website as the organisation evolves.